For a number of years now Murphy has been recording and releasing albums and EPs under his Neanderthal moniker, the project providing him with a creative outlet all his own, beholden to nothing and no-one other than the multi-instrumentalist’s own intense passion for the music that he loves. From 2006’s Start A Fire With A Rock, through follow-up album Take The Ride and on to the EPs Grandes Canciones and Hangtime, Murphy has delivered an ever-evolving barrage of highly skilled and intensely thrilling instrumental rock music. From first note to last, Rock Formation continues that tradition, proving to be a propulsive, free-flowing, balls-to-the-wall collection that can only help to galvanise Murphy’s position in the rock firmament. After all, there’s a reason the man placed 3rd in OC Weekly’s list of the 10 Best Metal Guitarists. The spine-tingling, heavily-phased opening riff and mind-melting fret-board runs that feature throughout the brief running-time of opening track “Magnetizer” are the kind of jaw-dropping, ideas-led guitar music that you simply don’t come across very often in rock music today; accessible enough to move the heart and cerebral enough to fire the mind. Following track “Now Hear This” demands the listener’s attention in both title and musical temperament. Murphy has never made a secret of the fact that he likes to explore more sophisticated rhythms and time changes, and one listen to the stuttering syncopation on offer here demonstrates how adept he is at doing so. The piece continues to build, bringing in some more of that gnarly phase and the sort of fluid soloing that will have six-string connoisseurs chomping at the bit. It’s even more mind-blowing when you stop to consider that Murphy has – like every other track here – played every instrument and produced, engineered, mixed and mastered the whole thing himself. “Devilry” feels like more of a straightforward rock stomp, but soon takes a turn for the outer-limits with some unexpected tonal shifts and grin-inducing, hair-raising melodic leaps and bounds. Short and bitingly sweet, “Rat Race” is a nifty piece of sonic chicanery that sets up the next track beautifully. The longest piece here, “The Healer” occupies more doom-laden territory for its first minute or so, the likes of which Murphy has explored to such pulverising effect with perhaps his most well known outfit, My Ruin. However, the track ramps up the tempo over the following minutes and is, before long, in a heart-pounding, vein-busting full-on sprint for the finish line. Fortunately the EP is not yet done, though, with both “Retrofit” and “Galactic Thrillride” yet to make their mark. Both are chock-full and brimming with passion, intensity, joy and the kind of bone-crunching, boundary-breaking genius that Murphy is known for deploying across the length and breadth of his musical output. With such a consistent ability to write and record at the highest possible levels of skill and musicianship, it is frankly mind-boggling that Murphy isn’t more widely heralded. But hell, those in the know will continue to bask in the glory of the man and his music. We’d be seriously hard-pressed to disagree. 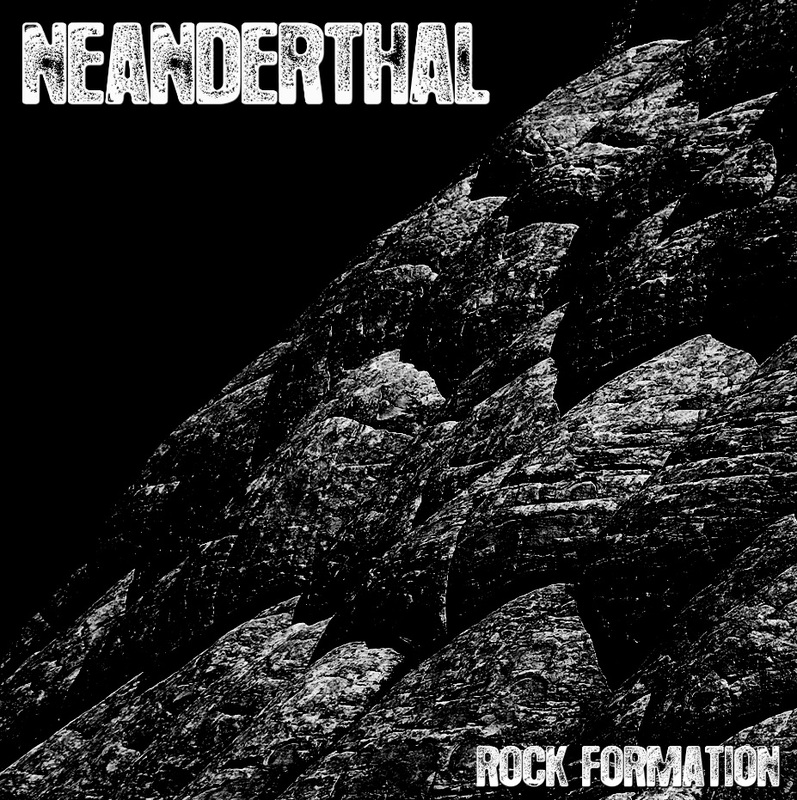 Check out Neanderthal’s new video for Rock Formation track “Now Hear This” below, the clip paying homage to the old-school Southern California skateboard scene!